Do Probiotic Supplements Work for IBS? Irritable bowel syndrome (IBS), also known as spastic colon is a disorder that affects the gastrointestinal organs especially the colon/large intestine. It is known to affect about 10-15 percent of people in North America. 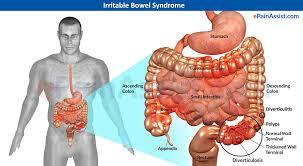 Irritable bowel syndrome is a chronic condition as most patients may experience it for a long duration of time. Though the major cause of IBS is unknown, we have carried out an extensive research to highlight the possible causes of it and how best to manage the presenting symptoms. Having digestive troubles is normal and can occur once in a while, but persons with this syndrome may experience intermittent symptoms like diarrhea, constipation and stomach cramps more often than normal. These symptoms which may vary from person to person and can strike anytime and can take a significant toll on the patient’s lifestyle. The urgent /frequent diarrhea may cause the patient to find traveling or working difficult. A person with irritable bowel syndrome may feel embarrassed to discuss their feelings with others; this is why we have taken out time to provide some answers to possible questions you may have about your irritable bowel syndrome. IBS symptoms may seem uncontrollable, however, with the right strategies such as stress management, moderate exercise, and some dietary changes, the symptoms can be managed. We are dedicated to sharing these plans with you. If you are a woman, and you are wondering why you seem to experience more IBS pains than your male counterpart, we will clear your confusion here. We have provided some natural tips such as dietary changes to help in the prevention of this disease. Our goal is to relieve you of the excruciating pains of irritable bowel syndrome, hence, we are dedicated to providing you with the treatment plans and best centers to receive these treatments.